Each apartment at Carlyle Flats is a natural extension of the timeless inspiring neighborhood that is Hyde Park. Our one and two bedrooms bring together lasting comfort and extraordinary style. Newly reimagined and upgraded, these fabulous apartments include vinyl wood floors, mirrored reach-in closets with built-in shelving, stainless-steel appliances, granite countertops, in home washer & dryer and custom paint! We’ve seamlessly blended the integrity and character of the original architecture with a simple, sophisticated design sensibility. 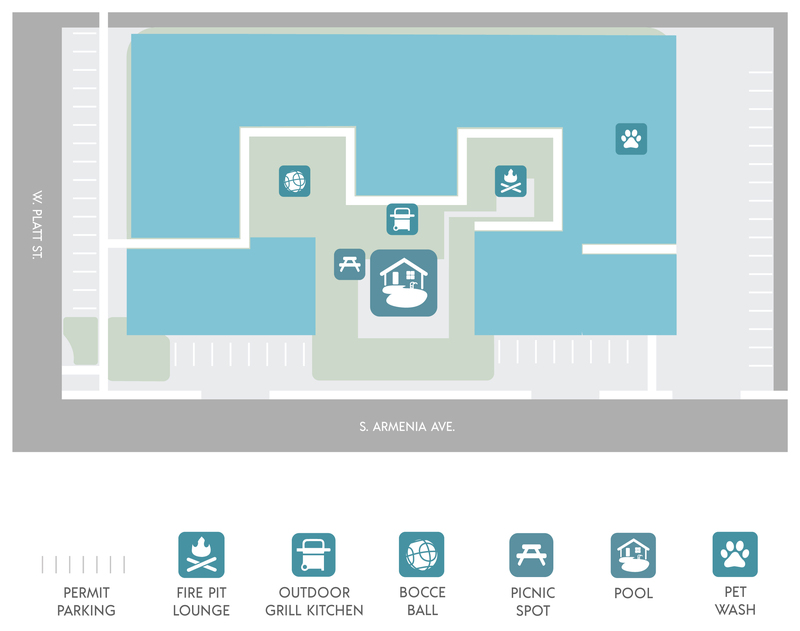 Our encased gated community awards full access to amazing amenities; a gorgeous private swimming pool, outdoor grill kitchen, fire pit lounge with Adirondack seating, bocce ball court and secure bike racks. We’re pet friendly, smoke free and close to everything! Our convenient location keeps you right in the mix to shopping, dining, night life, the Tampa International Airport, International Mall, Amalie Arena, Raymond James Stadium, downtown, the Westshore!